Most divers can recall the first time they came face to face with a shark underwater. Breathtaking, unforgettable and high in adrenaline, diving with sharks gives you a whole new perspective on the ocean. Whether you’re hoping to catch a glimpse of the skittish thresher or photograph a breaching great white mid-flight, we’ve got the perfect place in mind. Read on for the best liveaboard destinations for diving with sharks. Sharks are some of the most fascinating animals on Earth, and some of the most misunderstood. They rarely approach divers, and are even described as shy. But, you should still take some precautions while diving with them. Always follow your dive guide’s directions and pay attention to briefings, both for your safety, and the sharks’ too. If possible, book your liveaboard with a reputable and environmentally focused operator. 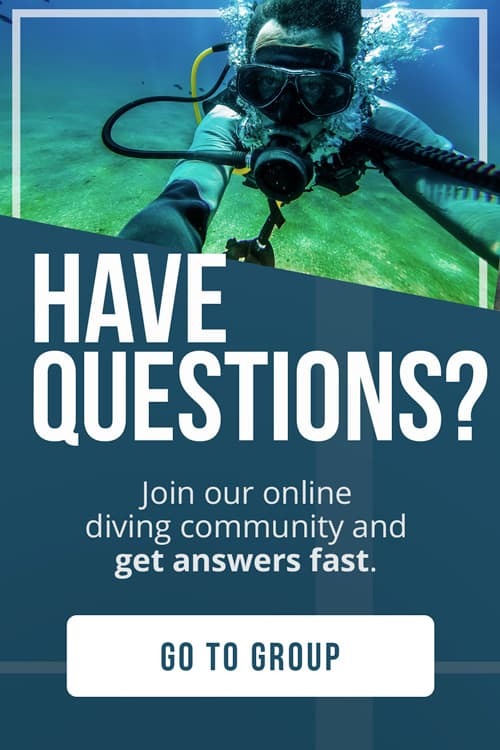 Sustainablesharkdiving.com is a reviews platform for shark tourism operations around the world. The Bahamas are best known for white sand beaches and calm turquoise water, perfect for a Caribbean liveaboard getaway. But, this idyllic chain of islands has plenty of adventure to offer divers in the know. 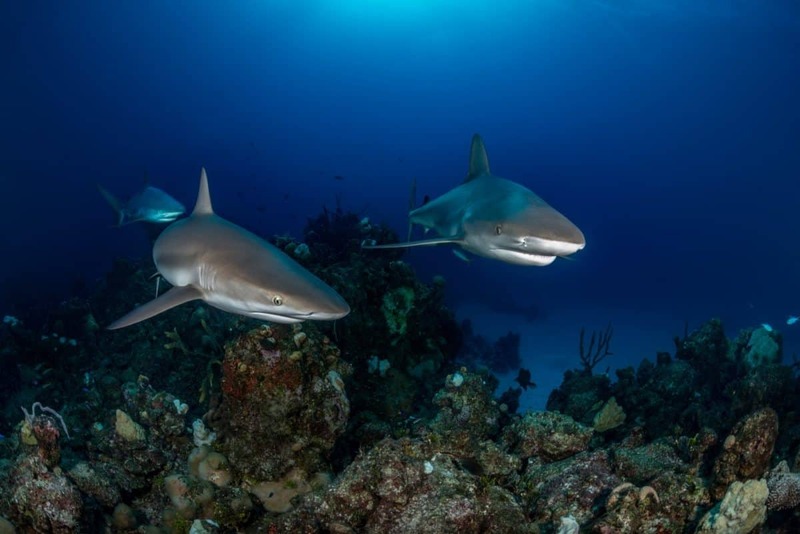 One of the best shark diving destinations in the world, The Bahamas, are one of the few places where you can dive with reef sharks, hammerheads and tigers all on the same reef. A perfect photo destination, the islands are also a great place for wreck diving, encounters with large pelagics like spotted dolphins and nassau grouper, and home to an adorable population of seahorses. Several dive sites around Nassau and Grand Bahama promise guaranteed shark encounters. Tiger Beach and Runway Wall are both famous for populations of sharks circling divers, waiting for a handout. During planned shark dives, groups sit on the sandy bottom while dive guides lure the sharks in with food or bait. Liveaboards also head to the Bimini islands and Exumas for thrilling dives alongside hammerheads and tiger sharks. Remember that hand feeding alters shark’s natural behavior and puts them at risk. It’s up to scuba divers to choose environmentally sustainable operators that use best practices. Experts at The Shark Trust created these guidelines for shark feeding dives to help you make a responsible choice. Ideal for advanced divers, Malpelo has it all. The island’s far-flung location makes it exclusively dived by liveaboard, and strict government control has kept these waters in pristine condition. Galapagos sharks, hammerheads, silky sharks, and whale sharks all patrol these waters, not to mention mantas and other large pelagics. But, diving in Malpelo isn’t for the faint of heart. Open ocean dive sites, strong currents, and cold water make this a challenging and rewarding destination for thrill seekers. Getting to Malpelo takes a bit of extra effort. The region’s only liveaboard, the MV Yemana departs from Panama City, and it takes over 36 hours to reach the island. Once there, scuba divers are in for a treat. The island is one big dive site, comprised of steep walls, open ocean, cleaning stations, and rock formations. You can expect 3 to 5 dives a day, action packed with big fish and ripping currents. Lucky divers might get a chance to see schooling hammerheads, sometimes in the hundreds. Dusk dives reveal massive shivers of white tips, out on the prowl. And, safety stops done out in the blue often end with surprise whale shark or manta ray encounters. A photographer’s paradise, Malpelo is perfect for wide angle and fisheye shots. You can forget about macro at these sites; you’ll be moving too fast. For more photography tips and tricks, check out this guide to Malpelo, courtesy of Underwater Photography Guide. Fiji holds two titles: soft coral capital of the world and best shark diving in the world. A liveaboard is the only way to fully explore the region, and an extended itinerary is best. Diving in Fiji comes at a high price, but we promise you it’s worth every penny. This area is a paradise for underwater photographers, and liveaboard operators know it. All boats feature separate rinse tanks, dry camera stations, and charging facilities. For the ultimate photo safari, check out Blue Water Photo’s Fiji photo workshop onboard the Nai’a. Beqa Lagoon is home to the most famous shark dives in Fiji, all of which are hand feeding experiences. Local liveaboards opt out of this dive site and instead cruise the southern coast of Viti Levu. Here, passive encounters with many shark species are possible. White tips and gray reef sharks are the most commonly spotted, and maintain healthy populations throughout Fiji. Black tips, tiger sharks and bull sharks are a bit shy, so you’ll need a bit of luck and expert eyes to see one. Reliable sites for hammerheads include offshore seamounts, the Namena Marine Reserve and Wakaya. 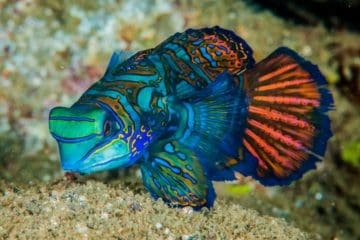 Apart from sharks, expect to encounter eagle and manta rays, large grouper and snapper, bait balls and world class macro. When shopping for a liveaboard in Fiji, you might feel a bit of sticker shock. Keep a firm budget in mind when booking, and don’t forget to factor in extra costs like domestic flights and tips. Diving in Fiji is worth the splurge. Liveaboard diving in Mexico’s North Pacific is on the top of many shark lovers’ bucket lists. Home to some of the best pelagic diving on the planet, this region is best known for dolphins, mantas, giant bait balls and schooling sharks. Whether you prefer cage diving with great whites in Guadalupe or swimming amid a school of hammerheads in Socorro, Mexico has what you’re looking for. Isla Guadalupe is one of the few places in the world that allows cage diving with great white sharks. The area is growing in popularity thanks to its relatively warm water and excellent visibility. Divers use open-top cages for planned, and sometimes baited encounters, but sharks are also spotted cruising in the open ocean. Cageless great white dives are available for qualified thrill seekers. Further south, Socorro lies off the coast of Cabo San Lucas. Best known for its friendly sharks and manta rays, the island is a paradise for pelagic lovers. More than 20 species of sharks patrol in these waters, sometimes in schools of over 100. For the ultimate experience, check out the citizen science expeditions aboard the Quino El Guardian. Scuba diving around Socorro and Guadalupe is only possible via liveaboard. These far-flung islands take a bit of time to get to and conditions can be rough once you get there. While beginner divers are welcome on these liveaboard itineraries, Pacific currents are strong and unpredictable. If you don’t have experience with drift diving, cold water and strong currents, this region isn’t for you. Malapascua, in the north of Visayas, offers divers a unique chance to come face to face with shy thresher sharks. 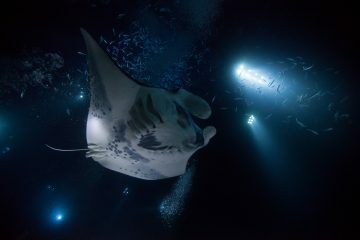 This nocturnal, deep water species is rarely seen by divers thanks to its exceptionally skittish nature. As a bonus, whale sharks, reef sharks and zebra sharks are found here as well. Just on the edge of a steep drop off, the Monad Shoal forms an underwater ledge right at 100 feet (30 meters), perfect for spotting threshers. No feeding or baiting takes place in this protected marine park. Rather, the sharks visit the ridge for a little TLC. The cleaning stations at Shark Wall and Shark Point are the most consistent places in the world for thresher shark sightings and a highlight on Visayas liveaboards. Dives take place very early in the morning before the sharks retreat to deep water. You can expect 1 to 3 days of diving in this area, with multiple chances to see the sharks. It is unlikely that you will see a thresher shark in shallow water. 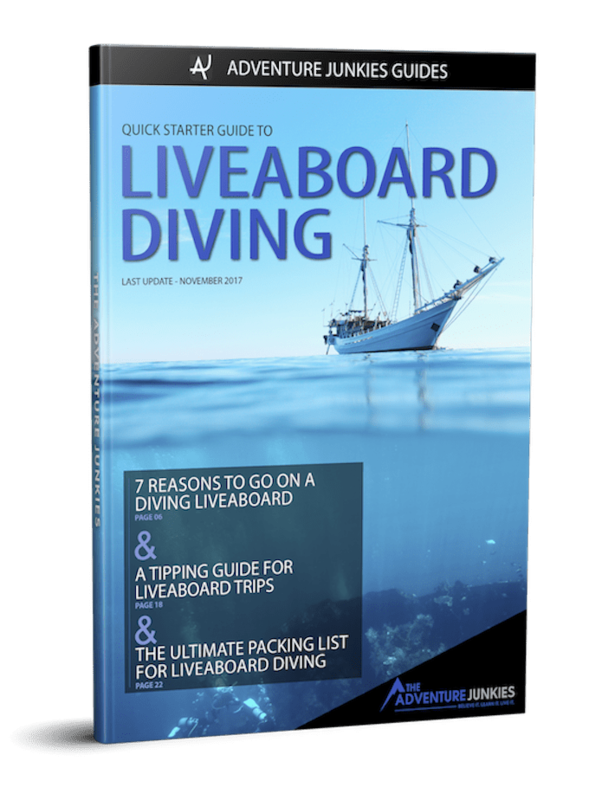 Though divers of all levels are welcome on liveaboards in this region, depth can be a limiting factor. Divers in Malapascua should carry at least an advanced open water certification to make the most of their time underwater. The Galapagos Islands have it all. Their position right on the equator where ocean currents combine creates a hotspot for large marine life. Hammerheads, whale sharks, silky sharks and Galapagos sharks prowl these waters, sometimes gather in groups over a hundred strong. The Galápagos Marine Reserve is one of the world’s largest and is home to thousands of endemic species. Best of all, divers can expect chance encounters with penguins, sea lions, and marine iguanas to complete the experience. The archipelago’s best dive sites like El Arco and Gordon Rocks are only accessible to liveaboard divers. It is in these remote locations that you have the best chance of encountering huge schools of sharks. Strong currents and deep walls attract dozens of hammerheads, silkies and even the occasional whale shark. No feeding, baiting or chumming happens here. Instead, the sharks gather for cleaning and natural feeding, or to relax on rocky outcroppings. While many liveaboards in the Galápagos welcome new divers and even non-divers, those with more experience will enjoy the trip more. Experience diving in strong currents, cold water, and below 60 feet (18 meters) is advisable. Australian liveaboards explore more than the Great Barrier Reef. And, no matter what part of the island you choose to dive around, you’re sure to see sharks. Whether you’re hoping to cage dive with great whites or catch a glimpse of the rare epaulette shark taking a walk, diving “down under” is sure to please. Australia is a big country with many diving regions to explore. The remote west coast is home to the famous whale shark destination of Ningaloo Reef. Nearby, the Kimberley Coast and Rowley Shoals are known for unexpected encounters with bull sharks, and even great whites in open water. 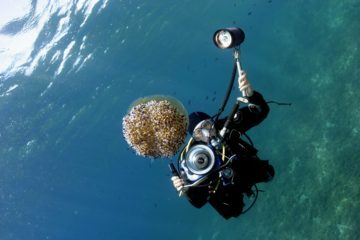 On the other side of the continent, liveaboard divers can explore the underwater paradise of The Great Barrier Reef. Black and white tip reef sharks are a common sight in these waters, and the super strange walking epaulette shark occasionally makes an appearance. During fall months, liveaboards head to the south of Australia for cage diving with great white sharks around Port Lincoln. With so many regions and species on offer, the hardest part of booking a liveaboard in Australia is deciding where to go. If you have your heart set on seeing the big stuff, southern and western Oz are your best bets. If you prefer laid back diving, small sharks, and budget options, head east. One of the most remote liveaboard diving destinations in the world Cocos Island sits 342 miles off the coast of Costa Rica. Reaching the island takes over 30 hours by boat, making it an exclusive, liveaboard only paradise for shark lovers. The region is famous for big fish, strong currents, and cool underwater formations, best suited for advanced divers. The most famous Cocos experience is watching the hammerheads school at Bajo Alcyone. This seamount attracts dozens of sharks at a time, all waiting to be cleaned by the local reef fish. Reef sharks, whale sharks, and mantas are frequent visitors at this cleaning station too. Open ocean dive sites like Dirty Rock are also excellent for spotting sharks. Groups of Galapagos, silky, and hammerhead sharks routinely pass by in the blue. Lone tiger sharks occasionally patrol these waters as well. Even shallow sites like Manuelita Garden offer surprise encounters with reef sharks on the hunt. For more Cocos inspiration, check out this article from Alert Diver. Liveaboard diving at Cocos isn’t for newbies. Strong currents, unpredictable surface conditions, and an ultra remote location make this region off limits to the inexperienced. Best explored by liveaboard, the Red Sea’s most remote dive sites are a haven for sharks. Diving in the region is perfect for novices, thanks to calm water and good visibility. Red Sea liveaboards are among some of the most affordable in the world too, with itineraries to suit even the most modest budget. Northern Red Sea voyages depart from Sharm El Sheikh. This region is home to some of the best wreck dives in the world, and the beautiful coral gardens of Tiran and Ras Mohammed. Here, reef sharks are a common sight, and hammerheads make seasonal appearances in deep water. Further south, liveaboards beginning in Hurghada are better for seeing the big stuff. Dive sites around St. John’s, Elphinstone, and The Brothers are some of the best for sharks. The oceanic whitetip is this area’s most famous resident, often encountered during safety stops in blue water. Across the Red Sea, Sudan has more bio mass and fewer tourists than Egypt. For the coolest shark experience around, check out the Red Sea Shark Week hosted by HEPCA. The Red Sea is a massive region featuring itineraries for every budget and timeline. And, if you are willing to give up a few creature comforts, extended voyages on budget friendly boats are your best option. Even the most veteran liveaboard divers agree that South Africa’s sardine run is the shark diving experience of a lifetime. Each summer, millions of sardines migrate up the wild coast of South Africa. Their schools can reach several miles in length and eventually break into enormous bait balls. This moving feast attracts dolphins, whales, penguins, fur seals, and of course sharks. Liveaboard trips depart from Port Elizabeth, East London, Coffee Bay and Port St. Johns. Extended itineraries are best, as they offer more chances to find and follow the sardines. Once the massive schools are located, dive boats follow along and wait for the dinner guests to arrive. It is possible to dive the sardine run from shore, but a liveaboard offers a much better value. Onboard safaris can search more extensively for the sardines and reach more remote dive sites. Plus, you’ll have the chance to hang out with a bunch of shark fans, experts, photographers, and very excited divers.